Just Create: Do Any Women Draw Comics? 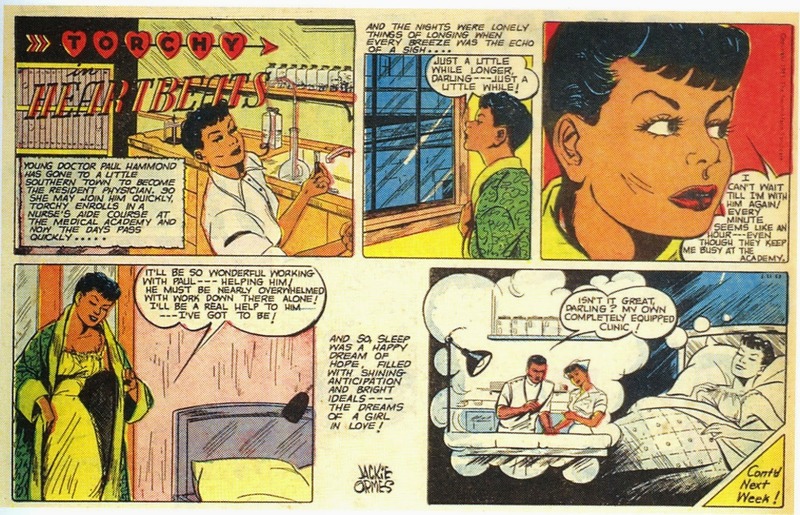 Jackie Ormes is the first black woman cartoonist who created the Torchy Brown comic strip and the Patty-Jo 'n' Ginger single panel strip. The Pittsburgh Courier, a weeklyAfrican-American newspaper published on her comic strip, Torchy Brown in Dixie to Harlem from 1937 to 1938. Torchy Brown was a humorous depiction of a Mississippi teen female who found fame and fortune singing and dancing in the Cotton Club. 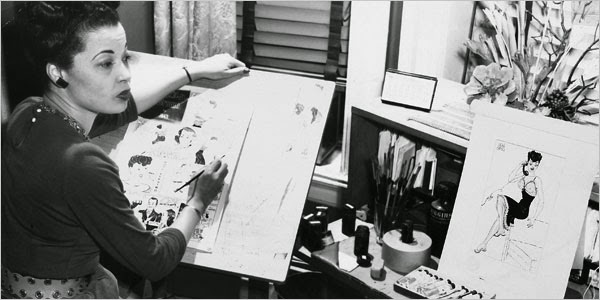 Ormes became the first black woman to produce a syndicated comic strip. Torch Brown bore a strong resemblance to her creator. She created Patty-Jo 'n' Ginger, a single-panel cartoon in August 1942, which ran for 11 years. It featured a big sister-little sister combo, with the precocious, insightful and socially/politically-aware child as the only speaker and ta beautiful adult woman as a sometime pin-up figure and fashion mannequin. Ormes contracted with the Terri Lee Doll Company in 1947 to produce a doll based on her little girl cartoon character. The Patty-Jo doll was on the shelves in time for Christmas and was the first American black doll to have an extensive upscale wardrobe. As in the comic strip, the doll represented a real child, in contrast to the majority of dolls that were mammy dolls. Patty-Jo dolls are now highly sought collectors' items. 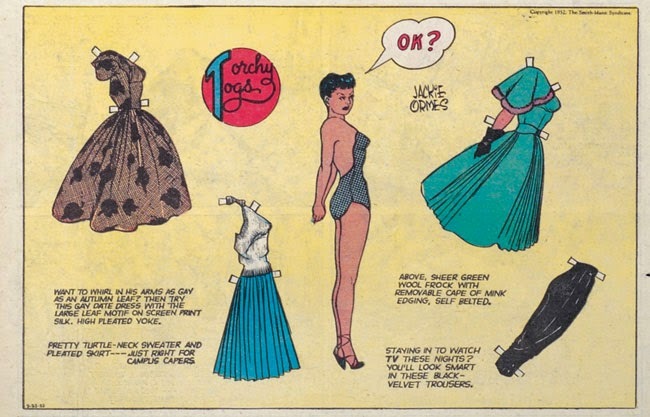 In 1950, the Courier began an eight-page color comics insert, where Ormes re-invented her Torchy character in a new comic strip, Torchy in Heartbeats. This Torchy was a beautiful, independent woman who finds adventure while seeking true love. Ormes displayed her talent for fashion design as well as her vision of a beautiful black female body in the accompanying Torchy Togs paper doll cut outs.